SafeSoccer Goals is committed to eliminating accidental tip overs. 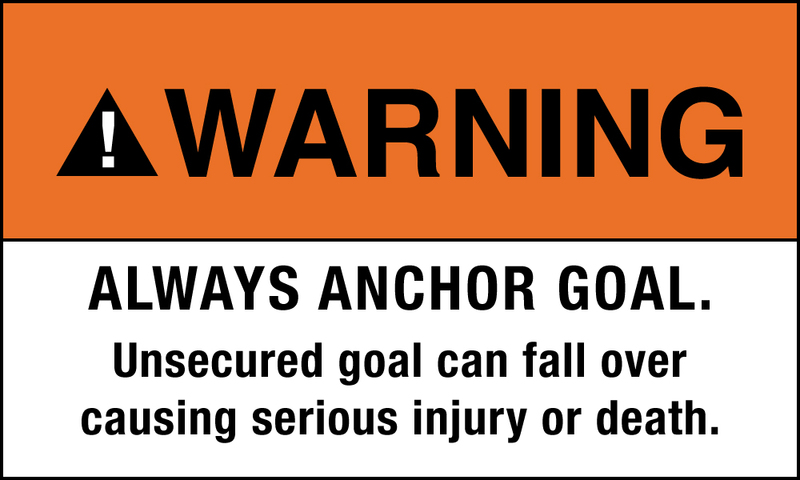 Over the past 25 years, soccer goal manufacturers and the CPSC insist that you must be responsible 24/7 for the safety and portability of their poorly designed goals. How’s that working out for the soccer kids in North America? Over 50 have been killed by accidental tipovers; 3 deaths in 2017 alone. Make your goals COMPLETELY SAFE with the SSG-14R! 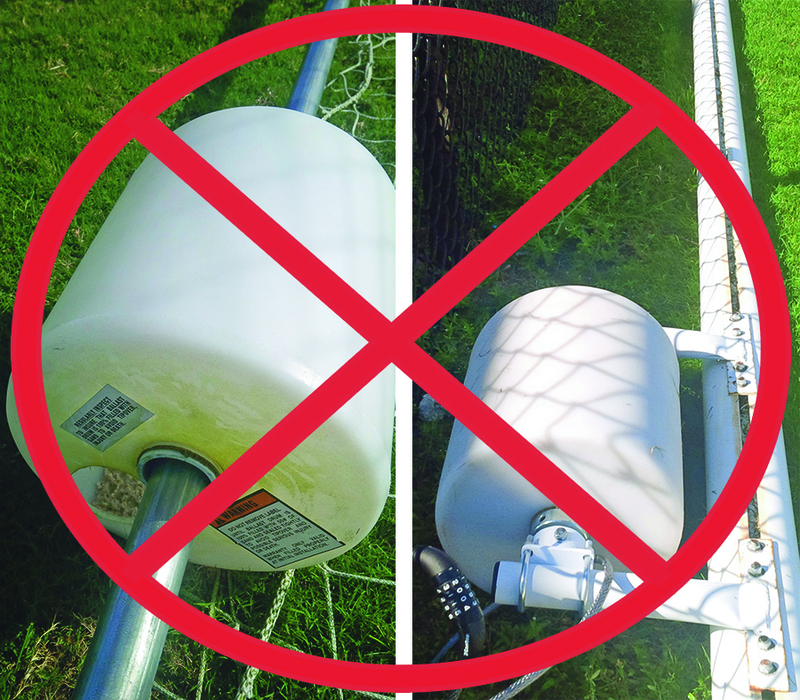 Current safety methods, such as J-hooks, tent pegs, augers, and sand bags are easily removed and are not a realistic solution to soccer goal safety or portability. Furthermore, soccer goal safety recommendations proposed by the CPSC and US soccer organizations are not a realistic solution and may be part of the problem. These recommendations simply don’t work which explains why the problem still exists two decades after being recognized by the United States. when the goals are unsupervised. … and deaths will continue to occur. 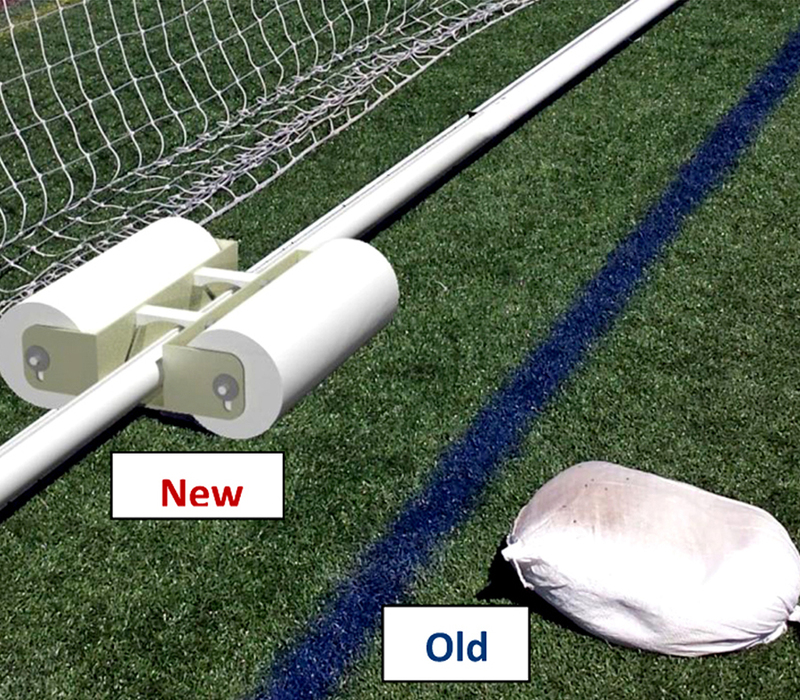 Attach SafeSoccer Goals’ patented SSG-14R rear roller assembly to the rear bar of any official soccer goal made in North America and make every soccer goal 100% safe – 100% of the time. Attach SafeSoccer Goals’ patented SSG-14R rear roller assembly to the rear bar of any soccer goal made in North America and make every soccer goal 100% safe – 100% of the time.